The movie, The Babadook, finally has a U.S. release date- November 23rd, 2014! I heard about this a while back- it is supposed to be seriously scary. And now that I've seen the trailer, I agree. Do you remember reading a scary story and then being so afraid to go to sleep because what if it came true?? Well, that's the concept here. 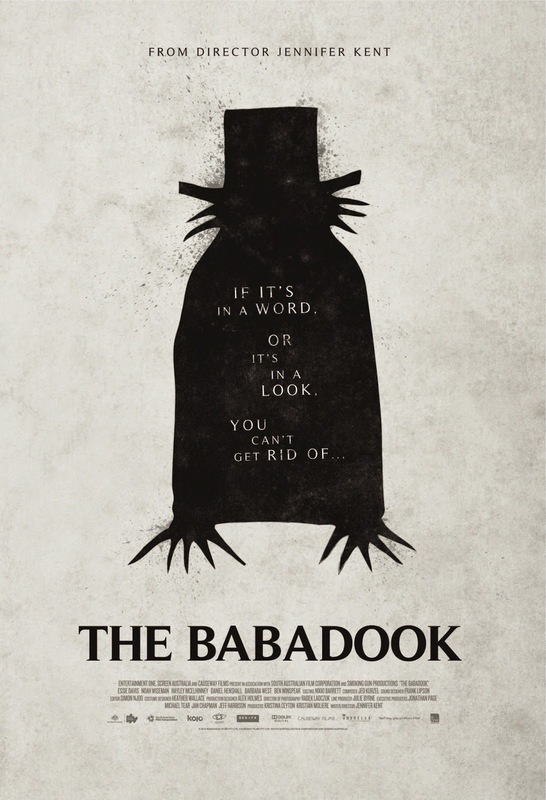 The Babadook looks like it is going to put a stop to my sleeping for a while. Six years after the death of her husband, Amelia struggles to discipline her “out-of-control” six-year-old Samuel – a son she finds difficult to love. Samuel’s dreams are plagued by a monster he believes is coming to kill them both. When a disturbing storybook called “The Babadook” turns up at their house, Samuel is convinced that the Babadook is the creature he’s been dreaming about. And when Amelia begins to see glimpses of the creature herself, it slowly dawns on her that the thing Samuel has been warning her about may well be real. Check out the trailer...if you dare. You have a very nice blog. Well done. The Babadook is a really good Movie. I recommend it.